Since the customer just purchased a therapeutic-style bed, a bed which the head/foot can be raised/lowered, it was requested that a Cherry Headboard be constructed and installed on the wall directly at the head of the bed. 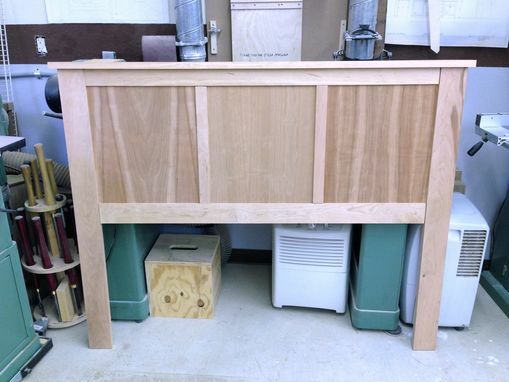 The Cherry Headboard needed to be independent of the bed. The Cherry Headboard was finished with a 50/50 mix of Danish oil & a satin polyurethane, followed by a buffing with a liquid wax. We were looking for a headboard for our new Sleep Number bed. I spent hours online looking at headboards, and found nothing that looked nice and well made. 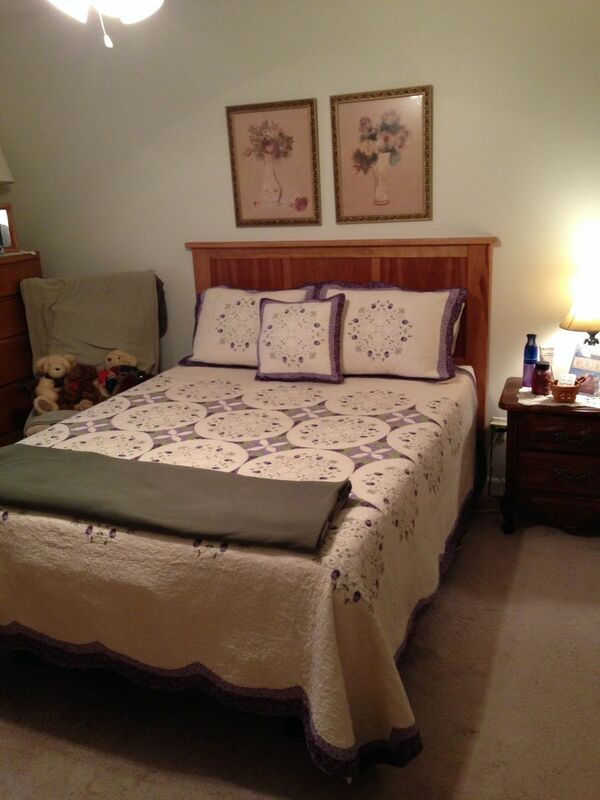 I learned about Custom Made, and found that Steve had made headboards similar to the style I was looking for. He was so great to work with! He communicated and sent pictures throughout the process, and delivered the piece exactly when he said he would. The headboard is beautiful, and the price was extremely reasonable.